Billy Martin: Loops from the Underground DrummerPack for DrumCore, Drum/Percussion Sample from Sonoma Wire Works. Billy Martin: Loops from the Underground DrummerPack for DrumCore has been launched by Sonoma Wire Works in conjunction with Submersible Music. 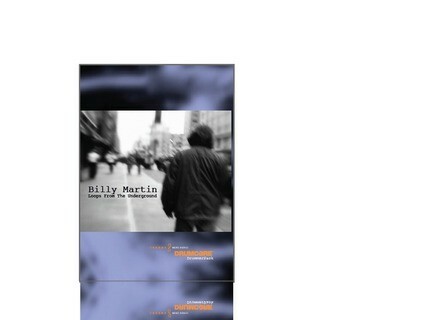 This DrummerPack features 13 Billy Martin Groovesets. The live audio drum loops by Billy cover a range of styles, and are presented in stretchable REX format. Groove variations, fills, intros, stops, and endings are included for drum track creations in your DAW. Also included are 12 Multi-Velocity layered MIDI Kits for programming MIDI grooves with Billy's kit sounds, as well as MIDI file versions of Billy's grooves and fills. Afro Six: An Afro-based 6 over 4 groove with snares off. BeOunce: A swung, bouncy, syncopated urgent groove. Brushing Up: Sultry hip-hop flavored brush groove. Bumpin: Hip 16th note groove with occasional displaced snare pops. Cookarocka: Frantic Drum and Bass inspired groove. Ellingtone: A hip snares-off interpretation of Jazzier days gone by. Gap Tooth Woman: Ride-pulse groove with swing tendencies. HiHeeHoe: Greasy 16th pulse groove with wicked snare ghosting. If Not: Funky Hat groove with a swing feel and great ride breaks. Lucky: Snappy little jazz groove in 3/4 time. Snaked: Slinky hat/sidestick groove with Billy's unique 16th pulse. Titannic: All-steam ahead straight 4/4 bombastic rock groove. Walk Bye: An understated, lazy ballad groove with slight swing feel. This DrummerPack was produced and recorded by the original Submersible Music team, and is configured with metadata for use with the DrumCore search engine, which will help DrumCore users find content based on feel (straight, shuffle, etc. ), time signature, tempo and other criteria. Songwriter-friendly "GrooveSets" group related beats, variations and fills to serve as a construction kit for song creation. DrumCore works with most DAWs, and supports dragging audio and MIDI directly to tracks in applications such as ACID 7, Digital Performer 6, Live 6 and up, Logic Pro 8 and up, Pro Tools 7.4.2 and up, Cubase 4 and up (32-bit), and Sonar 8 (32-bit). Drums Used in the DrummerPack: Early '60s Rogers Luxor Set, 20" Bass Drum, 12" Rack Tom, 14" Floor Tom, 5x14 snare, and Craviotto 10" snare - newer (2000s) vintage. Cymbals: Various 1950s 18"-20" K rides and 1950s 14" K Hi Hats. System Requirements: DrumCore 2.5 or higher and 3.4 GB available disk space. 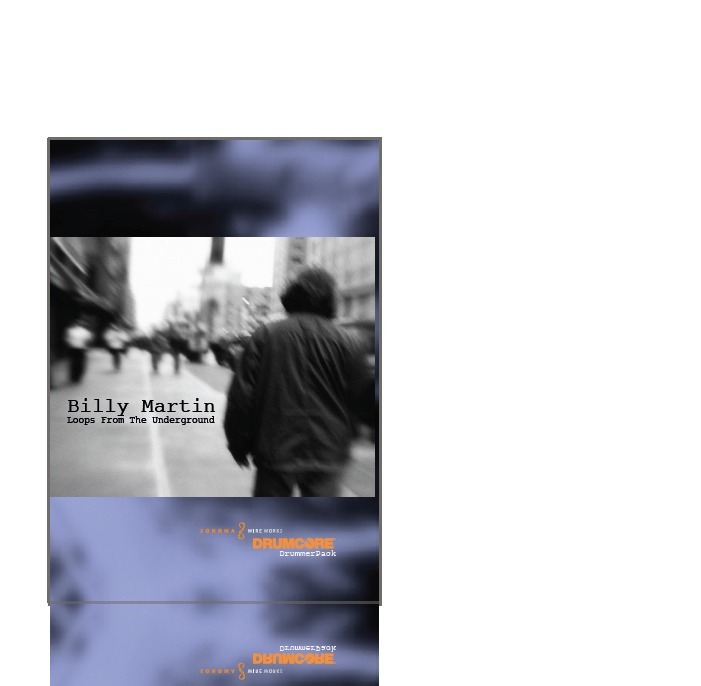 BIlly Martin: Loops from the Underground DrummerPack is priced at $79.99 (DVD or download), and is available at sonomawireworks.com, and other music software retailers. Propellerhead Reason 5 Review What features does the fifth version of the historical Propellerhead software have to offer? Overview. Wave Alchemy Launches Christmas Sale Wave Alchemy have decided to drop their prices for the holidays: For 2 weeks they are offering up to 50% off selected products. Detunized.com releases “Harmona Forte” Live Pack The Harmona Forte is a keyboard instrument similar to a reed organ.